Etisalat is really stepping up their game by slashing down the cost of their internet subscription. And this is a good news for all internet users especially the non bb users. 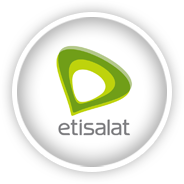 Some time ago etisalat announced their 2gb plan which goes for just N2,000. Now they have just introduced a new plan which is the 1gb f0r N1,000. as must of us know N1,000 used to be for 200mb. But imagine getting 1gb for the same price. You can use this plans on any device, which means it works on phone as well as your pc.